Our summer Foodie Fridays are kicking off with bubbles, pink to be precise. Check out the new Dulcét Brut rose wine made by Villa Maria. Style director Louise Hilsz shares one of her platter’s, which is a match made in heaven. New Zealand-made, this variety of Pinot Noir sparkling wine is perfect to share over a tasty platter with friends. A fresh summery taste, think red berries and notes of baked bread. These flavours work brilliantly with a slice of Castello Blue cheese and lashings of sourdough. Dulcét Sparkling rose wine, $25. For your next summer party this sparkling rose wine is the perfect way to celebrate the sunshine. And if you’re not tempted to finish the bottle the innovative Zork closure is resealable, and 100 per cent recyclable, as well as being reusable, ideal for storing sparkling wine in the fridge until your next soirèe. Castello Blue Cheese Half Moon, $12. We are cheese addicts. And a creamy blue is right up there. At the end of a busy week, there is no better treat than a glass of chilled sparkling wine accompanied by a slice of this moreish cheese. 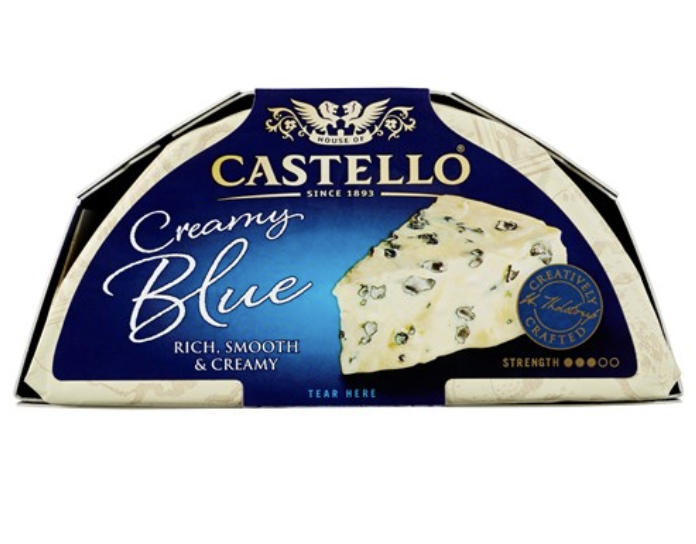 A classic blue cheese from the Castello range and has that delicious stinky punch all fine blue must have which is perfect on the palate with sweet, summer fruit.